Looking for a unique and charming place to host your special day? The Bendooley Estate Unique Wedding Venue in Southern Highlands. This 200 acre property is home to a thriving antiquarian book business and features gorgeous wedding chapels, and cool-climate gardens. The Bendooley Estate serves many purposes from hosting private functions and live events to wine tastings and fine dining. It is also a perfect setting for your big day. 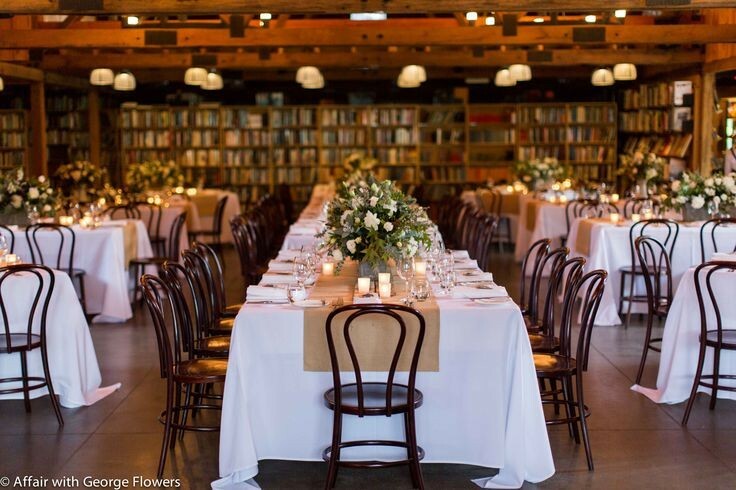 Here are a few of the reasons why we love the Bendooley Estate for hosting weddings. Large or small, intimate or enormous, the Bendooley Estate will have what you are looking for. Their dedicated team will work with you to shape their venue to your needs. From their luscious gardens to lakeside pavilion, you will find the perfect setting for hosting your dream wedding. If you are looking for a place that will charm your guests and create memories for years to come, look no further than the Bendooley Estate. If you are dreaming of a winter wedding, the Bendooley Estate just might be what you have been looking for. Between mulled wine and roaring fires, they make it the perfect little backdrop for a cozy winter wedding. And the best part of all is that the prices are lower in the winter. If you are interested in a winter wedding at the Bendooley Estate, you will want to act now as spaces are limited for 2017. Instead of listening to our opinion, we can go straight to the source and hear what the bridal couples have had to say. Here are a few glowing reviews for you. We had an amazing time on our wedding day—everything ran so smoothly and beautifully. We had so many people praise the staff, food and venue. We also had so many mentions of how amazing Mark was on the evening; he was so attentive the entire night. It was also lovely to receive a gift from Paul, Katya and the team. What a nice touch! Thanks to the team at Bendooley Estate for putting on such a wonderful day for our wedding. Our guests all raved about the day and we had a superb time. Everyone was so friendly and professional, and everything went so smoothly. We look forward to coming back next year to celebrate our anniversary. Thanks to Kelly and the staff at Bendooley Estate for the wonderful luncheon we enjoyed for my husband’s 70th birthday. The food was superb and the wines you suggested were exactly right. Everyone enjoyed themselves so much. My thanks to the chefs and also Nicole. Thank you for being amazing before and on our wedding day. We were so impressed with your attention to detail and coordination of our wedding. Not least to mention the saved canapés for the bridal party, bottle of champagne reserved for me and Tina, and the hugs and brunch of Saturday morning! All was noticed and appreciated. If you are interested in this setting for your big day, you will want to find the best wedding band to make your day complete.